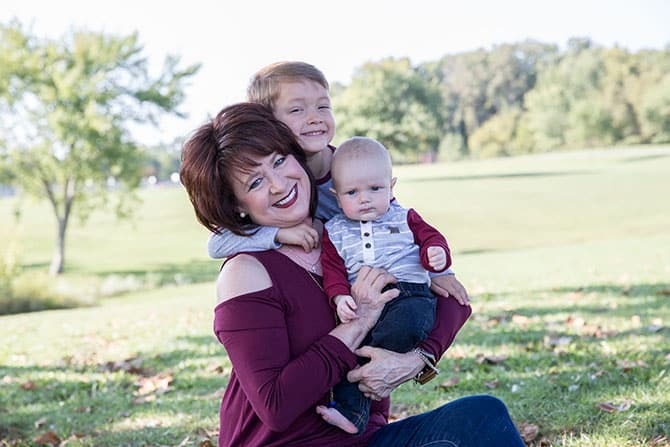 Deanna with her grandsons Luke, 4 and Levi, 4 months in Community Park in New Albany. 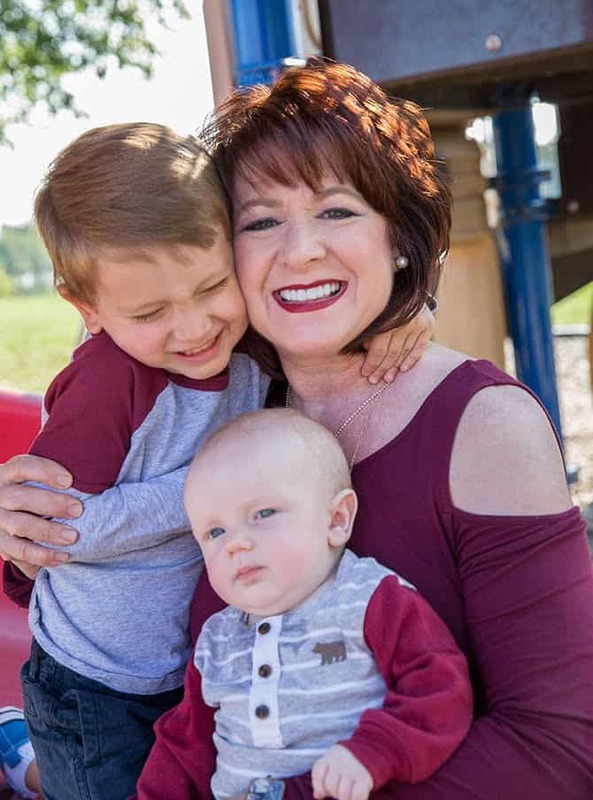 Not leaving anything to chance, Deanna Watts, 52 at the time, went to her doctor to have the 1.1 millimeter, mole-like growth inspected and eventually removed; its testing revealed she had melanoma. Today, Deanna is beating stage four melanoma. Melanoma is the deadliest form of skin cancer because it has the ability to spread to other parts of the body. In Deanna’s case, it spread to a rib bone and left hip. She was told that without treatment, her survival rate would be less than a year. 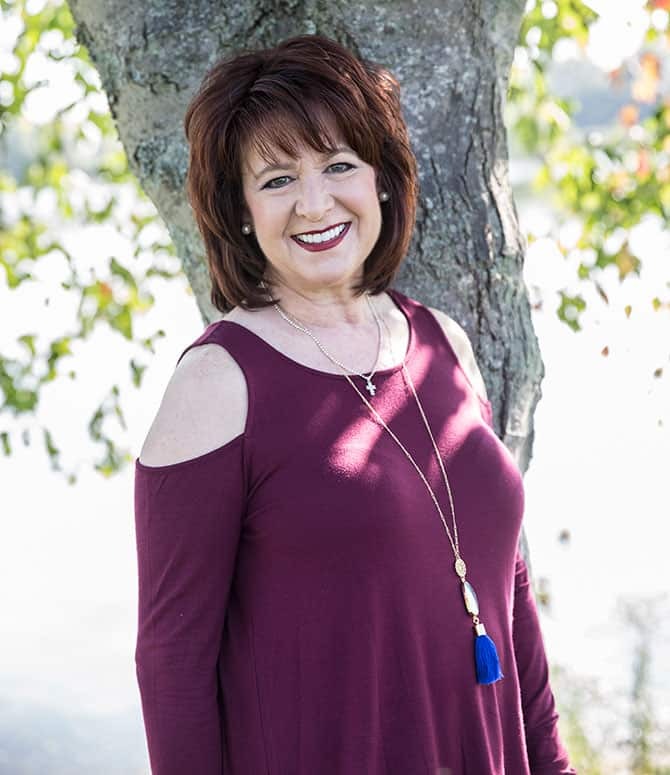 She got connected with leading melanoma research doctor James Chesney at the Uof L James Graham Brown Cancer Center in Louisville and qualified to begin immunotherapy treatment in February 2017. Deanna has an appointment every three weeks for an IV infusion with a drug called Keytruda. The 30-minute process comes with fewer side effects than chemotherapy. “It amps up your own immune system to fight cancer cells,” Deanna says. After three months of treatment, her scan showed 50 percent shrinkage in both of her lesions — and she had no new lesions, which is the greater victory. Although the cancer is not completely gone, her recent scan in August showed even more improvement, so she continues her treatment every three weeks. Ask Deanna and she’ll tell you the culprit of her melanoma is dangerous UV lighting, especially from tanning beds. In fact, exposure to tanning beds before the age of 30 increases the risk of melanoma by 75 percent, according to a study by the The International Agency for Research on Cancer Working Group. Deanna admits she stayed tan year-round for a decade. She bought tanning package after package trying to achieve the perfect sun-kissed look. 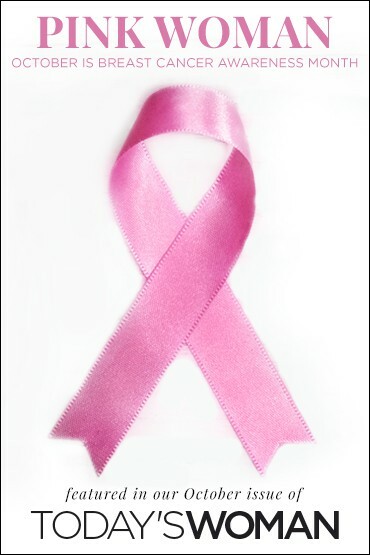 It’s Deanna’s passion to advise others about this cancer that is so preventable. Deanna has learned to cope with her diagnosis mostly through her faith and lots of prayer. In addition, she anchors herself around family and friends. The hairdresser of 35 years keeps busy as wife, mother of three, and grandmother of two. Deanna suggests that others not abuse sunlight and tanning beds. Also, look at your skin and notice changes. If you see any changes, get them checked early.